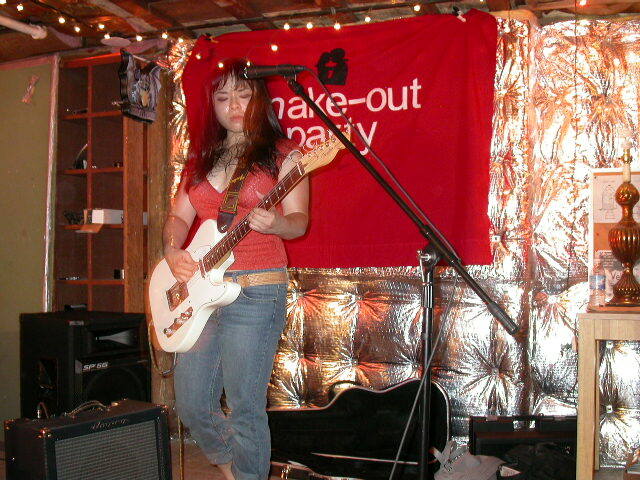 see all the photos from make-out party #8 on my flickr! i could do an lj role call of those featured, but that might be crazy. hm, i like crazy: carol drknbutterfly, perry perryowenwright, alex selectyourplaye, alison yersopretty, kathleen babydkj. um, okay, i can't think of anymore so maybe it's not as crazy as i thought it was. i didn't get any photos of jen cassettecounty and her new haircut. sigh. I look so angry and sweaty!!! oh and hey thanks for setting up a great show! thanks for coming out to it! it was nice meeting you ben.